Galveston Island, Texas– Galveston Historical Foundation will honor the 175th anniversary of the City of Galveston with special lectures and tours at the historic Menard Campus, 3302 Avenue O. Remaining lectures will take place at 2 p.m. on Sundays June 22, July 13 and August 3. In addition, Galveston’s oldest residential dwelling, the 1838 Menard House, will be opened for public tours. Tours will be available 12 p.m- 4 p.m. on June 1, June 22, July 6 and August 3. Admission is $8 for adults and $6 for students aged 6-18. The price for individual lectures is $12 for non-members and $10 for GHF members. A package price for the complete series is available for $40 for non-members and $35 for GHF Members. Reservations are recommended and can be made by visiting www.galvestonhistory.org or by calling (409) 750-9180. 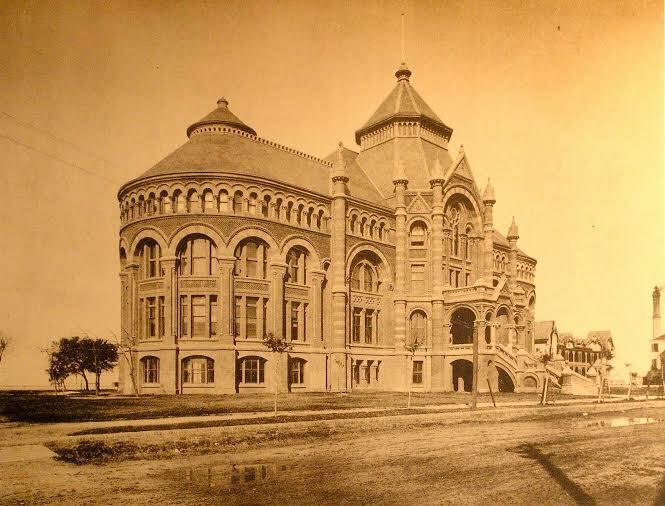 At the opening of the University of Texas Medical Department in October 1891 there were two museums in “Old Red”, one anatomical the other pathological. The museums were amongst the first in Galveston. They grew to achieve local and national recognition and were praised in Abraham Flexner’s’ report on Medical Education in the United States and Canada (1910). The museums expanded and moved from “Old Red” to the New Laboratory Building in 1925. The museums were open to the general public and highly unusual for the period. Over subsequent decades however the museums fell out of use. This lecture charts the rise of fall of the museums and describes what remains of the former collections and how they could form the nucleus of a future medical museum. Presented by Dr. Paula Summerly, Research Project Manager for the John P. McGovern Academy of Oslerian Medicine, and Chair of the “Old Red” Medical Museum Task Force and Heritage Committee at the University of Texas Medical Branch (UTMB). Paula’s academic background is in the history of medicine (PhD, University of Glasgow), paleopathology (MSc, University of Sheffield), and fine art photography (BA, Sheffield Hallam University). She has held scholarships at the Institute for the Medical Humanities, UTMB, Northwestern University and the Dittrick Medical Museum. Dr. Summerly has researched and curated medical exhibitions for the Hunterian Museum, University of Glasgow and acted as an exhibition consultant for the Wellcome Trust, London. The 175-year-old City of Galveston has been credited with a long list of “firsts” in Texas. Among these is the state’s first public library. One hundred forty-four years ago, the Galveston Chamber of Commerce founded a library for local citizens. Although Rosenberg Library was not established until 1904, its roots can be traced to this early predecessor. While most people are familiar with the Rosenberg Library at 2310 Sealy Street, many probably don’t realize that at one time there existed a separate Rosenberg Library branch for African-American residents. The presentation will include rarely seen historical photos and documents related to these institutions. Presented by Eleanor Barton, Rosenberg Library Museum Curator. Graduating from Texas A&M University with a Bachelor’s degree in Anthropology in 2003, Barton earned her Master’s degree in Museum Studies from Baylor University in 2005. She served as the Museum Curator at Rosenberg Library from 2005 until 2008, leaving to become the first Executive Director for the Sugar Land Heritage Foundation. In 2012, Barton returned to the Rosenberg Library to resume her previous position as Curator. She is a member of the American Association of Museums, the Texas Association of Museums, and the City of Galveston’s 175th Anniversary Committee. One of the first land development companies west of the Mississippi, the Galveston City Company was organized in 1838 under the leadership of Michel Menard and other founders. The company sold lots for development and gifted others for community projects or important public institutions. The presentation reveals preliminary findings from a special project undertaken to examine the minutes of the company, communication among stockholders and managers, and descriptive information on the beginnings of Galveston. The final presentation of the 2014 Menard Summer Lecture series provides a rare look into the archives held by Stewart Title Company, which reveal the first few decades of the island’s history. Presented by W. Dwayne Jones and Andrew Coleman. Dwayne Jones serves as the executive director of the Galveston Historical Foundation (GHF), one of the largest not-for-profit historic preservation organizations working at the local level in the country. Jones holds degrees in History and Asian Studies from Trinity University in San Antonio and a master’s degree in Urban and Regional Planning from George Washington University in Washington, D.C. Prior to joining the GHF, Jones served as executive director of Preservation Dallas. He is a member of the American Institute of Certified Planners (AICP), received the Dorothy Savage Award for Outstanding Achievement in Historic Preservation from Preservation Dallas and was named an Honorary Member of the Dallas Chapter of the American Institute of Architects. Andrew Coleman is a historian and native Galvestonian. After receiving his B.A. in History from Tulane University of Louisiana in 2013, he returned to Galveston to work for Galveston Historical Foundation, where he divides his time between the Preservation Conservation Services Department and Bishop’s Palace. Built in 1838 by John and Augustus Allen for the founder of Galveston, Michel Branamour Menard, the property passed between Menard and the Allen brothers (founders of Houston) in many complicated dealings in its early years. It is the oldest surviving residential dwelling in Galveston and the only structure to be owned by the founders of both Galveston and Houston. Crockett—It’s that time again….polka polka polka!! The Piney Woods PolkaFest! 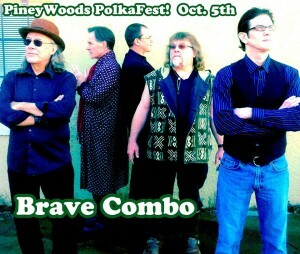 with Brave Combo is Oct 5th at the Houston County airport. Come join us for authentic German food & drink and dance to America’s favorite polka band, Brave Combo!! Presented by the Piney Woods Fine Arts Association, fun for all ages but kids under 18 get in FREE!! Tickets are $22 in advance or $27 at-the-door and can be purchased online at www.pwfaa.org or by calling (936) 544-4276. Back due to the overwhelming response from last year’s festival. This family-friendly event is a good time for all! PALESTINE- An innovative gallery that will pop-up for one weekend featuring local and regional artists, and then disappear until Christmas, will debut Friday, July 26 at 112 W. Oak, in downtown Palestine with an opening reception from 4 – 6 p.m. Called the “Main Street Pop-up Gallery,” local artists have taken an unused space downtown and transformed it into a temporary art gallery.